Less screen time using Screen Time? In common with most people of my generation (I’m classed as a senior citizen), I am concerned about the constant use of smartphones by the younger generations, pre-teens through to middle-agers. It worries me that teenagers, particularly, seem to spend more time heads down looking at goodness knows what instead of face-to-face socialising. I weave a crooked path along the High Street for fear of being knocked over by an adult too busy looking at the small screen to see where he or she is walking. I bite my tongue, hard, at a social gathering–a family meal, or in a restaurant–if a fellow socialiser places his or her phone on the table even before sitting down and then surreptitiously or overtly periodically checks for, again, I know not what. I am forbidden to correct my granddaughters when they come round if they curl up with a YouTube video, or start scrolling through a host of WhatsApp or Facebook messages, rather than tell me about their day, or discuss a book, or comment on a news item, or… anything except stare at the small screen and tap away on a soft keyboard. I know and sort-off accept the arguments for this constant use of smartphones–it’s no different to watching something on the television, or reading a book, so they say. Hmm, we could argue about that. I’ve also been told to embrace modern technology and the whole brave new world of social media, and, as of earlier this year, I do now have my own smartphone, a Doro 8030, but I rarely use it other than to check the location of family members via the Life360 locator app. (My older son calls Life360 a stalking app and turns his Location Permission off!) And, I do confess to watching movies or reading a book on a Kindle Fire when I’m relaxing. But, I’m not addicted to either my Doro 8030 or my Kindle Fire. There; I’ve just used the A word–addicted. Are my granddaughters addicted to their smartphones? Are those who nearly run me down in the High Street similarly addicted? What is addiction anyway? My Oxford Dictionary defines addicted to being physically dependent on a particular substance. 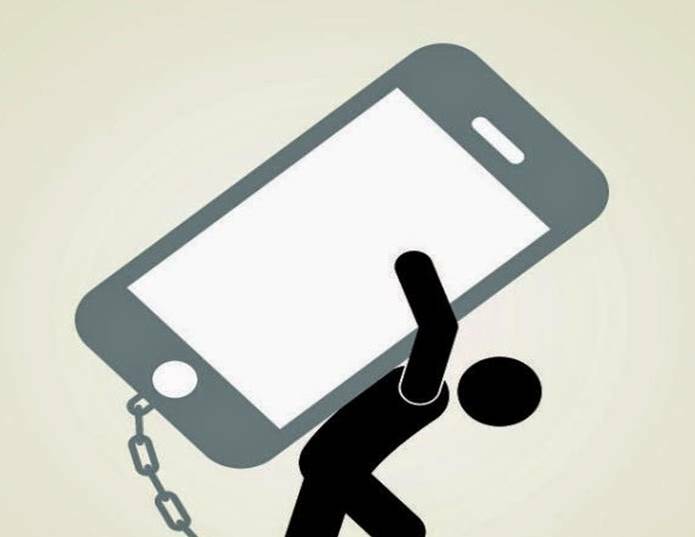 Can we interpret a physical substance to be a smartphone and, if so, when does regular usage become an addiction? If I drink wine or beer, am I addicted to alcohol? If I occasionally gamble online, have I become a compulsive gambler? If I check my smartphone twenty times a day, am I a smartphonolic? What about if I check it fifty times a day? Seventy times? Where’s the breakpoint between normal use and addicted use? I don’t know the answers to these questions but I do know that I am concerned about how controlling smartphone usage can become and it’s good to see that Apple, the company that makes the ubiquitous iPhone, has the same concern. Apple? How come, you ask? In my professional days, I was a member of an American professional society, the Institute of Electrical and Electronics Engineers (IEEE). Now that I am retired, I have become a life-long member of the IEEE and, as such, I receive their house magazine, Spectrum. Spectrum is like the popular science magazine Scientific American, but focusses more on topics of interest to electrical and electronics engineers–the world I used to inhabit. The current July 2018 issue carries a short 1-page article titled Addicted to your smartphone? Welcome to Apple Rehab. 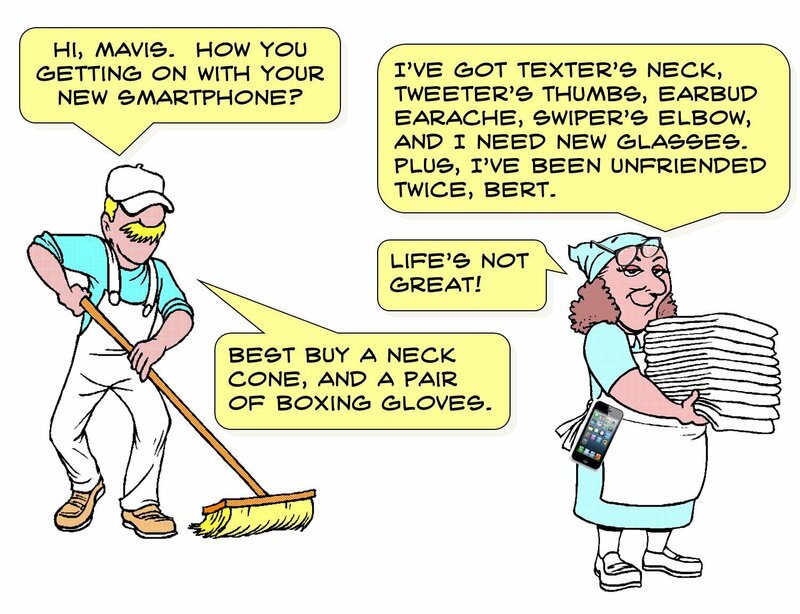 Tekla S Perry, the author of the article, summarises comments made by an Apple Senior VP for Software Engineering at a conference in Silicon Valley in May 2018 in which the SVP announced “a set of tools designed to help people break phone addiction”. Four types of tools (apps) were announced: Do Not Disturb, Notifications, Parental Control, and Screen Time. None of this is new, I’m sure. Even my simple Doro smartphone has various settings that fit both a Do Not Disturb and Notifications function. Similarly, I am aware of but have never used a Parental Control app. So, nothing new there other than that Apple has now created and will be soon be supplying these types of apps to iPhone users. I’m intrigued by this app. The press release appears to target the app at children as part of an overall parental control strategy but I wonder if adults will use it? First, an adult will have to be aware of an ever-increasing obsession with their smartphone and want to do something about it. Second, they would then have to install the app and be motivated to read the weekly report and do something about it. And, third, the adult will have to accept that changing their smartphone usage pattern may have major repercussions on their professional and/or social life and be prepared to accept these changes. Like any recovery from an addiction, this will be hard. 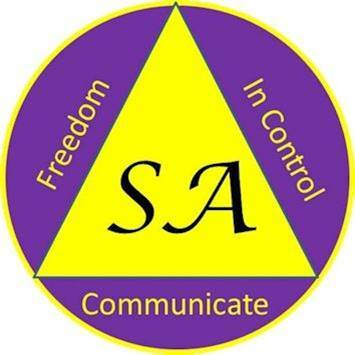 My April 2016 blog on Smartphonolics Anonymous presented a tongue-in-cheek description of a ten-week detox class. The description is intended to be humorous but if you read it, you’ll see I gave it a lot of thought. What we need is an obsessive irrational objective to control our use of smartphones; a “Fitbit-effect” slogan. Look at what happened when Fitbit Inc. announced their Fitbit Tracker product in 2009. It was a brilliant piece of marketing. Fitbit Inc. took a humble pedometer, dressed it up a bit with a few bells and whistles, priced it at the ridiculously high price of $99 (which gave the illusion of value), linked it to a vague statement from someone in Japan who once said, “Walk 10,000 steps per day to remain fit and healthy,” and the rest is history. We all bought Fitbits, donned our walking boots, and started walking the highways and byways. In 2017, my daughter bought me a Yamay (a Fitbit look-alike) and my record so far is just over 32,000 steps in one day. I had steps in the bank and blisters on my feet for a few days thereafter! A similar “Fitbit-effect” slogan for smartphone users could be, “Limit use of your smartphone to fewer than X hours per day.” But, what’s X? A 2015 study suggested American teens were on their phones for up to 9 hours per day. Name your X! Or, how about, “Limit the number of times you check your smartphone to no more than Y times per day.” What’s Y? Another 2015 study concluded American teenagers check their phones up to 74 times a day. Assuming each check leads to an action, it might be better to limit the number of checks and, maybe, the times during the day when checks are allowed. 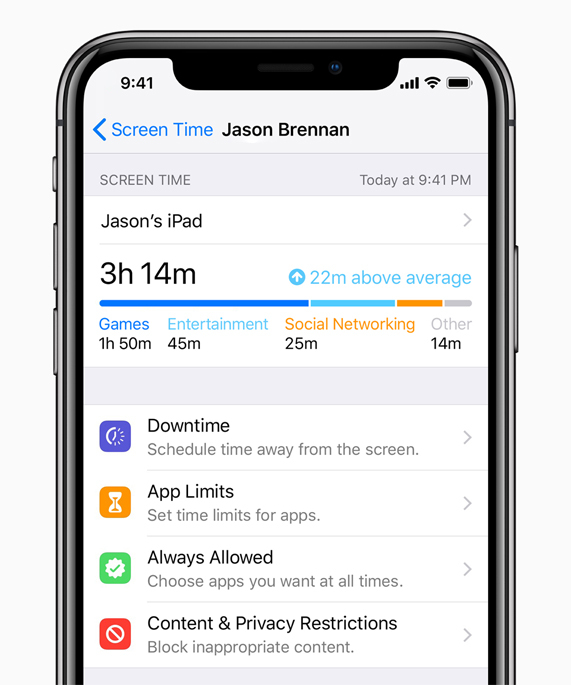 Of course, imposing a number of hours/number of checks/hours of the day limit is artificial and unworkable given the huge benefits of owning and using a smartphone but I wonder how the folk at Apple will entice their customers to use and respond to their Screen Time app. It might be too late! 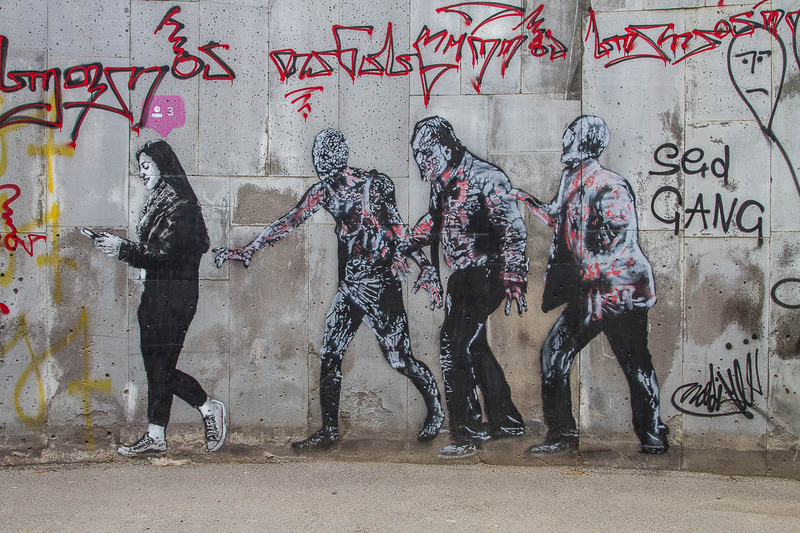 My son, Mark, and his wife, Kirsty, were recently travelling in Georgia and spotted this piece of street art in the capital, Tbilisi. It is very appropriate to my comments above. I think you should look at your own addiction. At least three hours a day watching films on your kindle and then you move seats to sit in front of your computer. Is this an ADDICTION? Most people carry out these chores on their smart phones!! Interesting – the obsession with these gadgets drives me nuts and like you I am very wary when walking through the streets in case of a collision. It takes me a great deal of effort not to tell my friends to put them away when we are out. However I have to accept that I am in the minority. I read an article today in the Cornwall Living magazine that is quite pertinent to this topic and restored my faith. A very nice restaurant on the outskirts of Truro wants to urge families to reconnect during their holidays and have decided that there will be no public access to WiFi throughout the summer. It is a very nice restaurant with lovely surroundings including water gardens and just the place to chill out and enjoy the delicious food and a glass on wine. The children can amuse themselves and there won’t be a wretched phone to distract anyone. Well done to them I say. I hope it works out at the restaurant, Mary. In the past, I’ve tried turning off the Wi-Fi in my house but my granddaughters just switch over to their 3G/4G signal! You can’t win! …oh, sorry, just got a text, must reply, I’ll get back to you. We are not on Facebook,Twitter or any other of the thingymebobs. but Ann received 14 birthday cards by snail mail. Is there still hope of us all communicating with feeling!